Make thousands of dollars by temporarily renting your home. A: Money and lots of it. 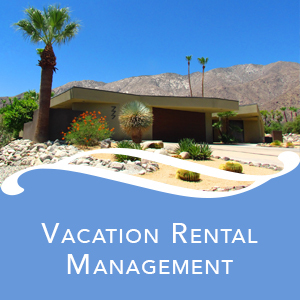 The vacation rental market is booming worldwide, especially here in the Coachella Valley. We have the biggest music/film/art festivals (Coachella, Stagecoach, PS International, Comic-con, etc.) and sporting events (BNP Tennis, Polo, Golf) becoming a sought after destination where people pay top dollar to stay in the sun. Your neighbors are making hundreds or thousands a night in added income from these temporary renters and you can too. A: Convenience, money, and management. We are a team of local, professional individuals with expert knowledge on how to make you the most income possible on your listing. Blue Coachella is also a conduit between your customer and you so you won’t have to be involved at all, you’ll just see the money go straight into your bank account each time your home is rented. Cha-ching! A: Great question. We do it all for you, which is especially nice if you are a Snowbird or own multiple homes where one is vacated for long or short periods of time. Blue Coachella sets up your vacation rental online accounts, manages your listings, communicates with your renters, can meet and greet them onsite with a warm smile providing a tour of your home so they are comfortable, takes video and notes inspecting before their arrival and after they vacate, schedules housekeeping service, keeps a detailed inventory binder on your property, and communicates with you after every renter’s stay. A: Online accounts are setup by Blue Coachella on popular vacation rental websites like VRBO, Airbnb, Flipkey, Homeaway where many people worldwide visit to choose a house to rent. These sites specialize in facilitating the rental transaction between renters and the homeowners. They are safe and secure with excellent track records. BC uses multiple vacation rental websites to help broaden the potential scope of renters. For instance VRBO tends to trend to the older demographic while Airbnb gets a younger client base. A: No, we do not. Your money is direct deposited into your bank or PayPal account. A: Our fee is tailor made to the individual homeowner’s needs. The best thing to do is contact us for a complimentary site survey and discuss your goals together. We can then answer any additional questions you may have face-to-face or we can also Skype as well if you are out of town. A: There is a security deposit with each website listing to cover any issues. They also provide host guarantees to protect your home and your stuff from accidental damage. These websites also include host protection insurance in case a guest gets hurt or causes property damage. Both of these are included with your accounts. A: Renters generally treat your home like their own because they want all their security deposit back and people are conscientious of others’ property. If the insurance and security deposit doesn’t put you at ease, then Blue Coachella could also move items to offsite storage, and you could put in furniture you felt comfortable having guests use. There are many ideas and solutions for this. Talk with us about any concerns and we’ll help figure it all out. A: Contact us right now. We’ll schedule an onsite or video conference and you’ll be on the path to all that extra income.